If you're following me over on instagram, you will have noticed I've started a bit of a love affair with all things Boden shoes this week. Their animal print heels and flats have become my wardrobe staples for pre-fall. So I thought it was about time to share the love with you all. 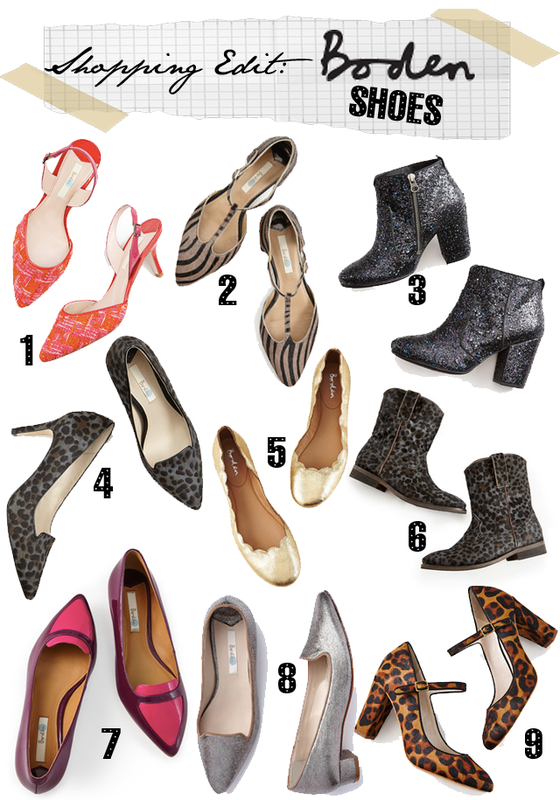 Above, you'll see nine styles of shoes available over on Boden's website. These are just a few of my favourite styles for the season, and I have it on good authority that there's a lot more coming in later in the season. So bookmark Boden now for great styles and get shopping.